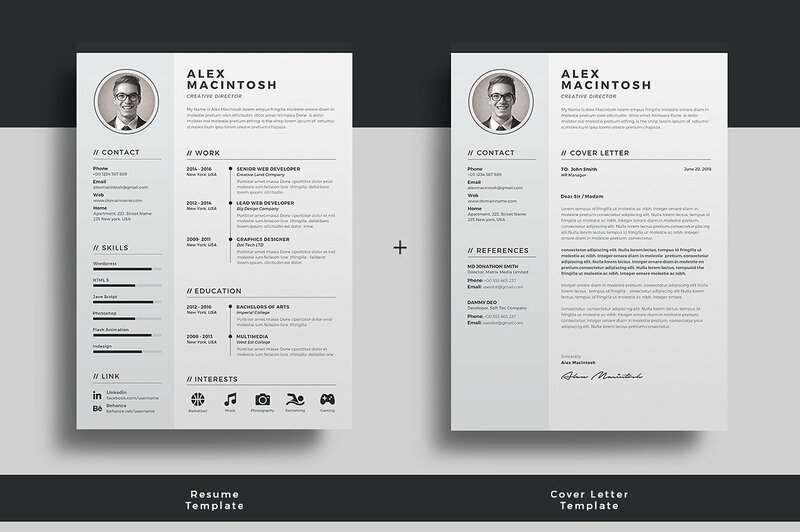 When clean and crisp is the order of the day, you cannot go wrong with this resume template design! 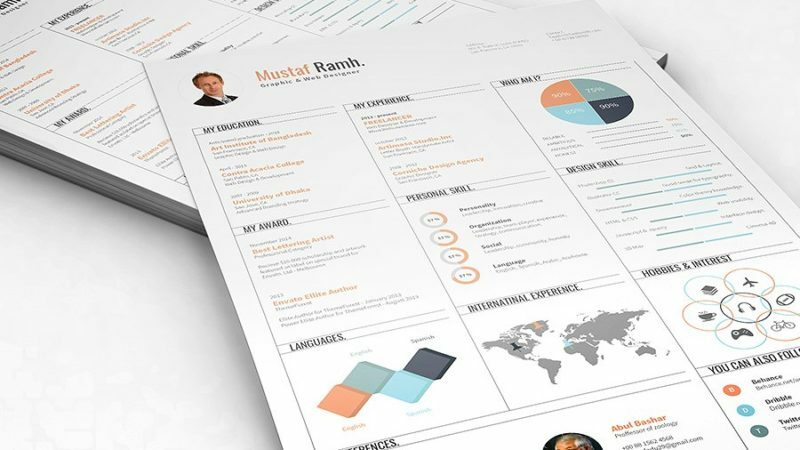 There is also an option to change the colour scheme for a more bolder choice for when you need to make your resume stand out from the others. There is lots of white space that offsets well with either the black and pale grey theme or the more contrasting black and blue theme. The circle and bar central line leads the eye naturally down the page in chronological order encouraging you to stop and linger at each new point to read information. 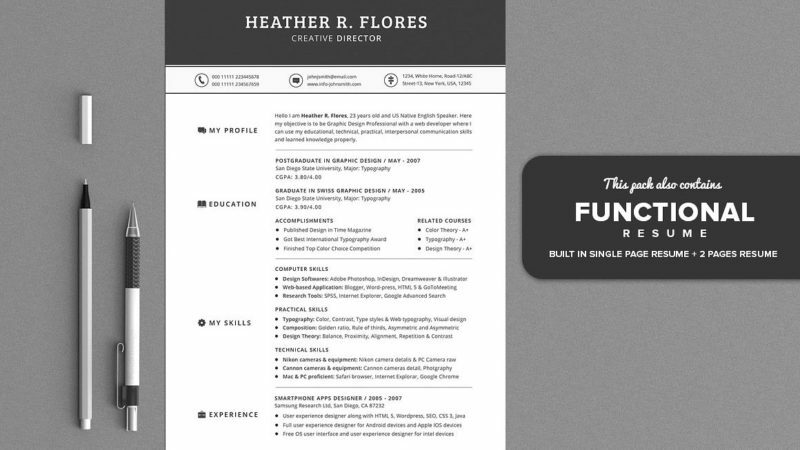 The font choice gives this template a really academic look.